1122 N Prospect Street, Colorado Springs, CO 80903 (#9161060) :: Fisk Team, RE/MAX Properties, Inc. Located walking distance to Patty Jewett Golf Course and local neighborhood coffee shop/eateries. This charming 50's duplex is situated on a dead-end street with a very private lot. 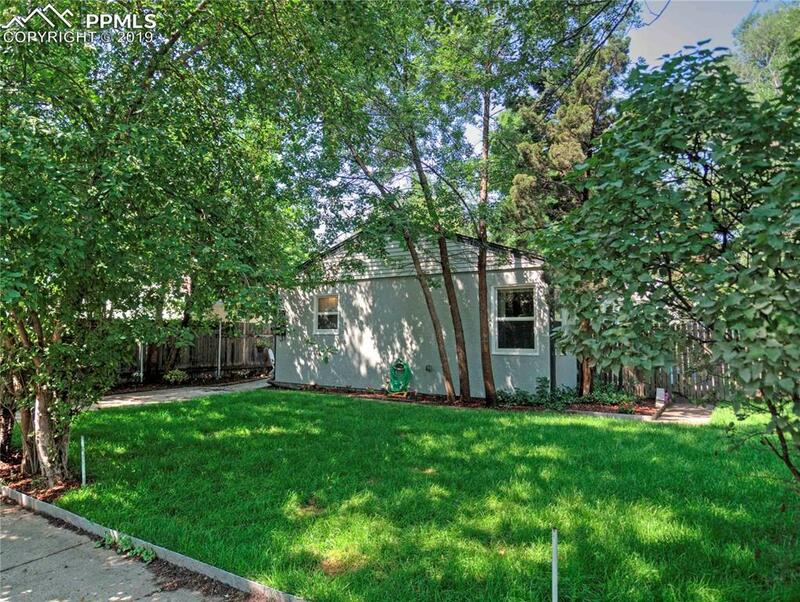 Fully fenced in yards on both units with alley access to the two car detached garage. Both units have tile flooring, original refinished hardwood floors, two bedrooms, updated baths, updated vinyl windows, and washer and dryer hookups. Long term rentals in both are why rents aren't at current market value. Garage has a divider in the middle for tenants to share with plenty of room for additional storage. Newly landscaped with brand new sod and lined with mature trees, additional off street parking in front and back. Large kitchen in both units allows room for a dining room table and has ample amount of cabinet space. Property is a good investment with two rentable units or owner could live in one of the units and rent the second. Close to shops, trails, Shooks Run, schools, downtown, Patty Jewett, Bonn Shopping Center, and access to I25. **Back unit has brand new interior paint, refinished hardwood floors, & refinished bathtub-its updated & ready for a tenant or owner occupant!